DelveInsight, the leading market research and consulting company has added a new report “Endometrial Cancer – Pipeline Insights, 2015” to its portfolio. With this launch DelveInsight now has 700+ Reports on Indication Pipeline Insight. In addition to this, our research expertise provides our clients with up to date information of market till the date of order. The Endometrial Cancer – Pipeline Insights, 2015 report provides client with details on the ongoing enterprises and the upcoming business opportunities related to new interventions. The report gives information of 35+ pipeline drugs with 30+ companies actively involved in drug development. There are 7 drugs which are in pre-clinical phase, 10 in phase I, 8 in phase I/II and 11 in phase II. Aeterna Zentaris is developing a lead product Zoptarelin doxorubicin which is in Phase III. DelveInsights, Endometrial Cancer-Pipeline Insights, 2015 report provides Endometrial Cancer Landscape across the globe. Therefore the report on Endometrial Cancer-Pipeline Insights provides information on chemical, technology information and comparative analysis at various stages. In addition, it helps to identify emerging players with potentially strong product information and create effective counter-strategies to gain competitive advantage. DelveInsight is a leading Business Consulting and Market Research Firm. They help clients to find answers relevant to their business, facilitating decision-making; identify potential market opportunities, competitor assessments and business environmental assessment. In addition to this DelveInsight also deals in providing custom research services in coherence with interest area of the clients. This entry was posted in DelveInsight's Oncology based Reports and tagged 700+ Reports on Indication Pipeline Insight, Aeterna Zentaris, DelveInsight, Endometrial Cancer - Pipeline Insights, Indication Pipeline Insight report, Oncology, Zoptarelin doxorubicin. DelveInsight has made strong presence in Oncology market with 100+ Reports on Oncology based Indications & Mechanism of Action (MOA).DelveInsight Report, PD-1 and PD-L 1 inhibitors – Competitive Landscape, Pipeline and Market Analysis, 2015 has received great response and feedback from clients. 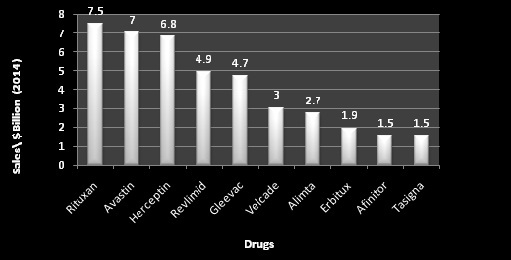 According to the analysis, 34 drugs* are in pipeline. 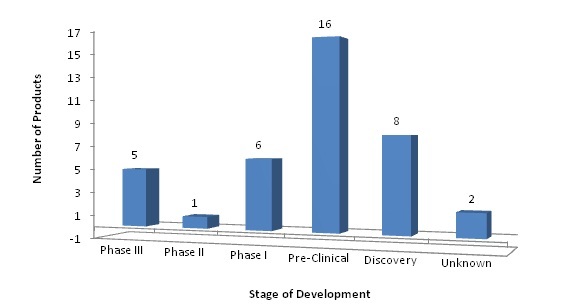 Out of 34, 22* are in combination development with other therapeutics agents Future competitive landscape of PD-1 and PD-L1 inhibitors is estimated to be very strong. The market for PD-1 and PD-L1 drugs might be billions of dollars richer than many believe. These drugs which include Bristol-Myers’ Opdivo and Merck’s Keytruda, are going to be Blockbuster in upcoming years. 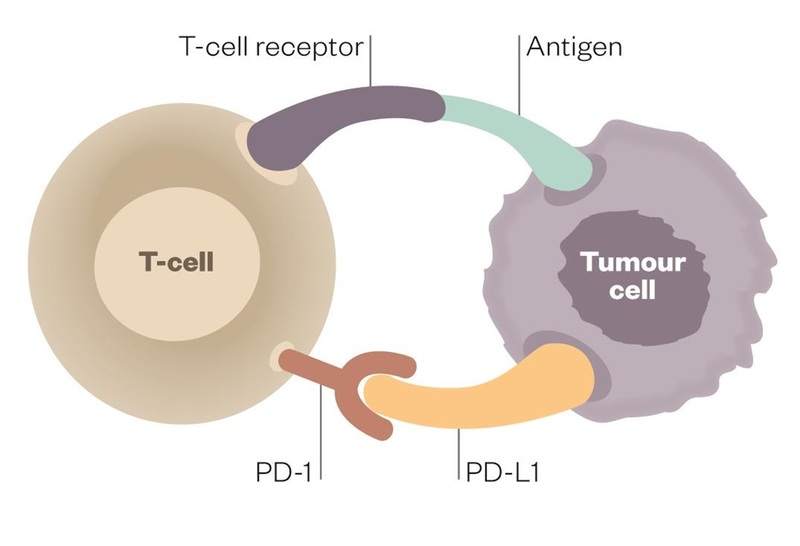 Delveinsight report on PD-1 and PD-L1 help companies in understanding Oncology market dynamics and therefore giving opportunities for strategic alliance that will result in market penetration and enhancement of portfolios with optimal investment and maximal return. In addition, reports will assuage companies to detect specific tumors, determine genetic predisposition and biological response to cancer therapy. DelveInsight is offering the Report at a price of USD 2,950 as a single user license, USD 5,900 as a site license and USD 8,850 as a Global/Enterprise License. This entry was posted in DelveInsight's Oncology based Reports and tagged 100+ Reports on Oncology, 34 drugs* are in pipeline, biomarkers of PD-1 and PD-L1 inhibitors, Bristol-Myers’ Opdivo and Merck’s Keytruda, DelveInsight, Delveinsight oncology based Reports, Market & Pipeline Analysis, PD-1 and PD-L 1 inhibitors, PD-1 and PD-L 1 inhibitors – Competitive Landscape, SWOT ANALYSIS. DelveInsight, the leading market research and consulting company has added new report Bile Duct Cancer (Cholangiocarcinoma) -Pipeline Insights, 2015 to its portfolio. With this launch DelveInsight now has 700+ Reports on Indication Pipeline Insight. In addition to this, our research expertise provides our clients with up to date information of market till the date order has been placed. 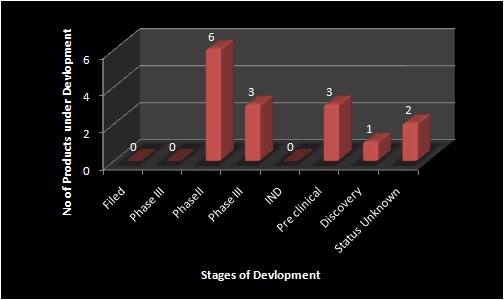 The report imparts information of 30+ pipeline drugs along with 25+ active company names, among which 14 drugs are in phase II, 10 in phase I, 2 in pre – clinical and 1 in discovery phase. 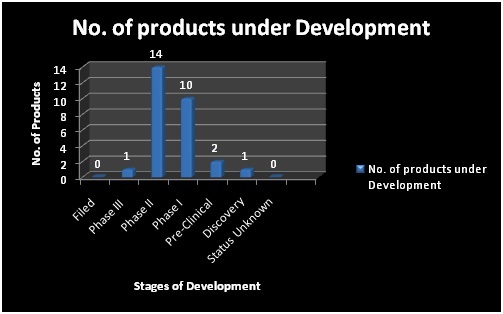 Assessment of Porfimer Sodium pipeline drug in Phase III stage under development by Concordia Healthcare. Bile Duct Cancer Cholangiocarcinoma) Report envisages Pipeline Intelligence by identifying the key players along with their potential pipeline molecule. Therefore DelveInsight’s report on Bile Duct Cancer (Cholangiocarcinoma) -Pipeline Insights helps to optimize portfolio by creating effective counter-strategies to gain competitive and therapeutic advantage in global Pharma market. In addition, it assesses the major market drivers and barriers in development of Pipeline molecules which helps to understand market for collaborations and licensing deals. This entry was posted in DelveInsight's Oncology based Reports and tagged Bile duct Cancer, Bile Duct Cancer Pipeline Insight report, Business Consultant, Cholangiocarcinoma, collaborations, DelveInsight, delveinsight Pipeline report, licensing opportunities, Porfimer Sodium pipeline drug. In current scenario chemotherapies and radiations are prominently used to cure cancer which results in adverse effects. Oral Mucositis is one such adverse effect that results in ulceration in the mouth due to high dosage of chemotherapy. The patients undergoing head and neck cancer chemotherapy are at a high risk of developing oral mucositis with mean incidence of 80-100%. It is estimated that 89.0%-100.0% of the population undergoing head and neck chemotherapy will develop oral mucositis. In addition there are >4M stage 3-4 cancer patients worldwide (>1m in U.S.) that are receiving high doses of CT or a combination of CT/RT that develop OM 1.0%-53.0% of the time. The current status of Oral mucositis (OM) treatment includes basic oral care, cryotherapy, topical rinses such as lidocaine and carbomer and palifermin, and a growth factor. None of these products have been completely successful in treating OM and a high unmet medical need exists. DelveInsight report on Oral Mucositis gives comparative study of drugs under development. The report provides assessment of AG-013 pipeline drug by ActogeniX NV (Intrexon) which is in Phase II/III. 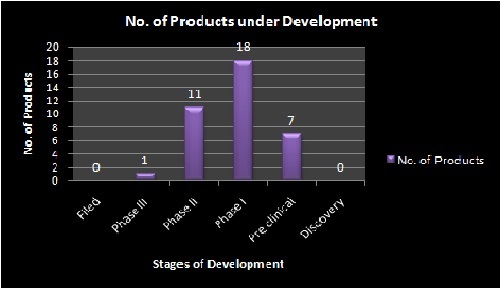 In addition to this, the report imparts information on several other drugs as well, among which 6 are in phase II, 3 in phase I, 3 in pre – clinical and 1 in discovery phase. The Oral Mucositis-Pipeline Insights, 2015 Report envisages Pipeline Intelligence by identifying the key players along with their potential pipeline molecule. Therefore DelveInsight’s report on Oral Mucositis-Pipeline Insights helps to optimize portfolio by creating effective counter-strategies to gain competitive and therapeutic advantage in global Pharma market. This entry was posted in Uncategorized and tagged API, Business Consultant, Cancer, collaborations, Competitive landscape. Cancer is one of the pioneer causes of obliteration. Although a lot of therapies are being developed in this area but still there is a high unmet need. Currently companies are getting inclined towards Immunotherapies which are target specific (monoclonal and conjugated antibodies) and effective. One such therapy area is Cytotoxic T lymphocyte associated antigen-4 (CTLA-4). It is found on the surface of T –cells and is continuously involved in the inhibitory T-cell responses.CTLA-4 (Cytotoxic T-lymphocyte-associated protein 4), also known as CD152 is a protein receptor that down regulates the immune system by consistently affecting the T cell responses. It is generally encoded by CTLA-4 gene in humans. The current Oncology market is steered by Bristol Myers Squibb with Yervoy (monoclonal antibody) approved for melanoma. 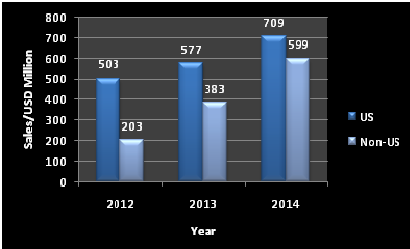 The annual sales for Yervoy have increased by 23% in US and 56% in Non-US cities in 2014 as compared to 2013. Several other companies are actively working which includes Astrazeneca, Merck, Roche & Pfizer. There are several drugs under pipeline among which Tremelimumab had shown inordinate results in clinical studies for treating malignant mesothelioma. DelveInsight’s, Cytotoxic T lymphocyte associated antigen-4 (CTLA-4) – Competitive Landscape, Pipeline and Market Analysis, 2015 provides the in-depth analysis of the pipeline assets across Cytotoxic T lymphocyte associated antigen-4 (CTLA-4) targets & inhibitors. The prime foucs of this report is to track competitor pipeline molecules, related research activities, t, collaborations, in-licensing and out-licensing deals. Cytotoxic T lymphocyte associated antigen-4 (CTLA-4) – Competitive Landscape, Pipeline and Market Analysis, 2015 Report helps to identify emerging players with potentially strong product information and create effective counter-strategies to optimize portfolios and to gain competitive advantage. DelveInsight is offering the Report at a price of USD 1450 as a single user license, USD 2900 as a site license and USD 4000 as a Global/Enterprise License. This entry was posted in DelveInsight's Oncology based Reports and tagged Business Consultant, Cancer, CD152, collaborations, Cytotoxic T lymphocyte associated antigen-4 (CTLA-4), DelveInsight, delveinsight oncology reports, Tremelimumab, Yervoy. DelveInsight, the leading market research and consulting company has added Oncology based Reports to its portfolio. With this launch DelveInsight now has 100+ Oncology based Reports. In addition to this, our research expertise provides our clients with up to date information of market till the date on which order is placed. Limited alternatives and high unmet needs have made global cancer market to rise unexpectedly and is presumed to reach around $ 100-110 billion by 2020. Recently companies have come up with new targeted therapies involving Immunotherapy. It is a major technological breakthrough in tumor diagnosis and therapy, discover new specific antigens, and unlock the mystery of the genetic basis of the disease which are expected to deliver improved results in terms of safety and efficacy. The current Oncology market is steered by companies such as Roche for Avastin, Herceptin & Rituxan, Novartis for Gleevac/Glivec and Celgene for Revlimid. DelveInsight has made strong presence in Oncology market with 100+ Reports on Oncology based Indications & Mechanism of Action (MOA). DelveInsight’s Reports on gene therapy, PD-1/PDL-1, Antibody-Drug Conjugate (ADC) & CAR-T provides assessment over advancement in technologies, market trend, partnering & licensing opportunities, pipeline scenario and competitive landscape. In addition, the Oncology Reports will help to identify the key players of market and the potential market movers and barriers. After getting great response and feedback now we are planning to launch reports on Stem Cell Oncology, Bruton’s Tyrosine Kinase (BTK) Inhibitors, TIM3, OX40, and LAG3. DelveInsight’s Oncology reports help companies in understanding Oncology market dynamics and therefore giving opportunities for strategic alliance that will result in market penetration and enhancement of portfolios with optimal investment and maximal return. In addition, reports will assuage companies to detect specific tumors, determine genetic predisposition and biological response to cancer therapy. 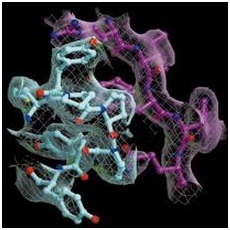 This entry was posted in 2015, DelveInsight's Oncology based Reports and tagged Antibody-Drug Conjugates, BTK Inhibitors, DelveInsight, Gene therapy, Oncology reports, PD-1/PDL-1, Pipeline, Stem cell Oncology.